Of late, motorways appear to be enjoying some sort of a renaissance among creative writers. 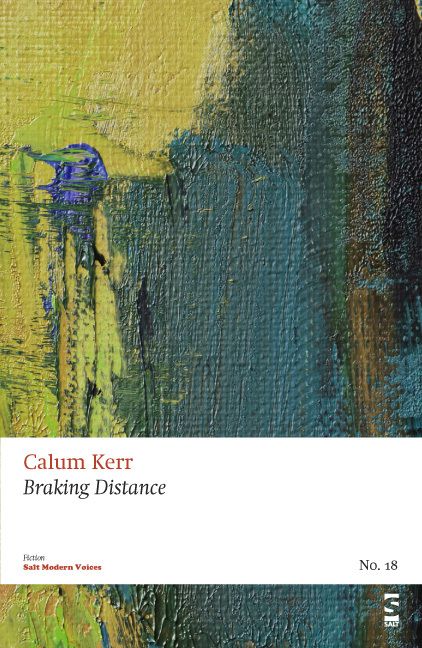 Erbacce Press has just published an anthology of poetry and fiction titled In the Company of Ghosts: The Poetics of the Motorway, and now Calum Kerr, in only the second Salt Modern Voices fiction pamphlet, offers us a different take. As Edward Chell writes in the foreword to In the Company of Ghosts, compared to the American freeway, ‘the British motorway is a more subdued sibling; less epic, more dowdy, with its own peculiarly subversive enchantments’. Kerr’s approach in Braking Distance challenges this notion by attempting to bring out the epic side of your average dowdy service station. Braking Distance is a collection of interlinked short stories all set on the same day in the same motorway service station. The stories vary wildly in structure and subject but are linked together not just in space, but through reoccurring set pieces, such as a tray of tea falling in the cafeteria. The incident of the tea tray becomes the trigger for a series of thefts and murders, both by humans and aliens. It also prevents a suicide and sparks the beginning of a love story between two strangers. The world is built subtly so that the interconnectedness of the stories is not immediately obvious, making the realizations all the more satisfying. Their ‘daily pilgrimage’ to the smoking shelter where they secretly meet is interrupted by an accident in the cafeteria (the falling of the tea tray, though it is not explicitly stated), the clearing up of which becomes Rowan’s duty. He is left to hopelessly watch ‘Julie’s back disappearing’ without being able to warn her of his absence at the rendezvous. It is a slight but entertaining snapshot highlighting the monotony of fast food work and affectionately depicting crude teenage love. ‘The car park is big enough for me to land easily. Strange how no-one ever seems to notice that my car comes down out of the sky’. In this short story we get the first real mention of the tea tray, and a glimpse at what caused its fall, through the alien’s observation of a woman running through the service station with a ‘vintage pistol’. Upon entering the cafeteria she knocked ‘a tray full of tea out of some man’s hand, and then she ran through the fire-exit and into the night. No-one really seemed to notice her, they were too intent on the fallen tray’. This idea of noticing and not-noticing is one that re-occurs throughout the collection, whether it is the paranoia of gangster Reg in ‘Constant Vigilance I’, or a serial killer’s perusal in ‘You Caught My Eye’, suggesting that the banality one expects to find in a service station blinds us to the Romeos and Juliets, and the fantastical adventures that may be taking place within it. ‘I don’t normally do this — I only popped in for a cup of tea and toasted teacake — but you really had to be stopped. In all my travels you have to be one of the most heartless and evil men I have ever come across’. The words fail to convince, perhaps because neither of the characters have been given enough time to develop. Elsewhere, the meta-references are grating: ‘The author bent down, bringing his face close to his dying character. “Leave. Bob. Alone,” he said then straightened up and walked back out of the story’. The tone throughout the collection is too satisfied with its own cleverness and the characters too unlikable for one to feel invested in their fate. As a result, the final deus ex machina is just there for cheap laughs. 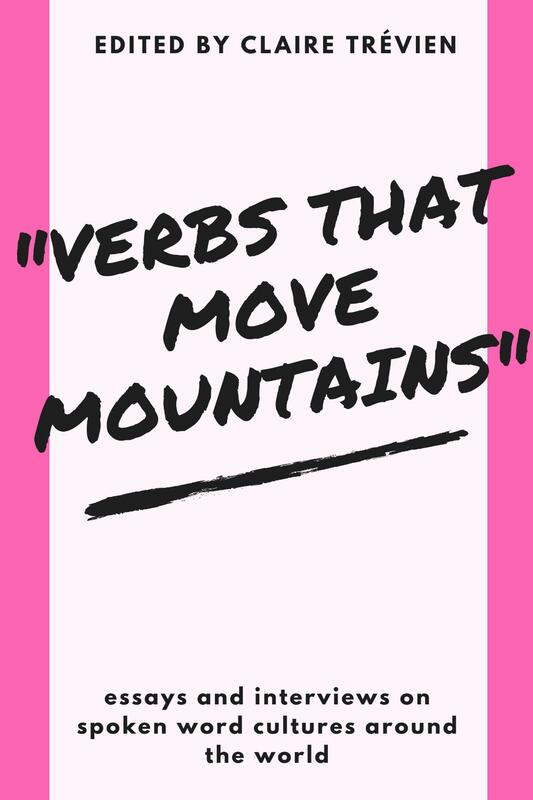 These short stories fall short as standalones, but fortunately, they are not meant to stand alone; the weaving of the narratives elevates Braking Distance to an intriguing exercise in style. This is a light-hearted, fast-moving collection, but if you want more than caricatures from your short stories you should look elsewhere.